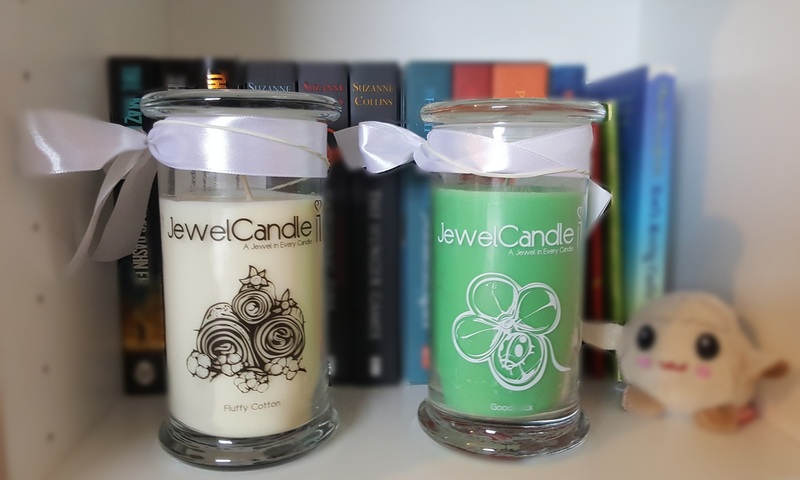 Tea in the Tub: Jewel Candle - Review & GIVEAWAY! These all natural, cruelty-free candles are made with eco-friendly resources and come in a variety of fragrances. Each contain a genuine sterling silver ring, pendant, bracelet or earrings worth up to the value of £250! Over Christmas I have been burning the 'Good Luck' candle which has a delicious fruity melon fragrance. These large candles have a very long burn time of 90 to 125 hours! After you have been burning it for 10 to 15 hours, a piece of tin foil will be revealed. 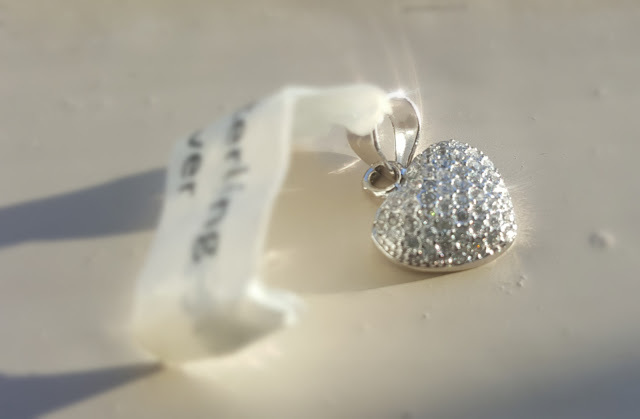 I carefully removed mine and unwrapped it to find this pretty heart pendant. Each piece of jewellery has a code attached to it which can be entered on the Jewel Candle website to reveal it's worth. Mine was worth £35! If that isn't enough then if you post a picture of your jewel and tag Jewel Candle on instagram, you could very well end up winning another candle! I already really want to try another one as I love surprises. 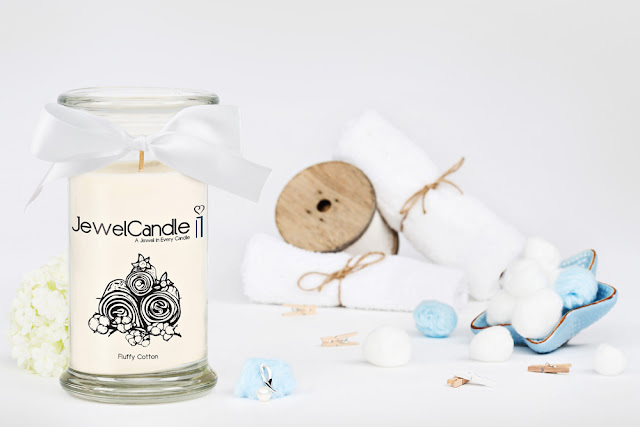 Have you tried a Jewel Candle before? What would be your dream pendant? *PR supplied products. All thoughts and opinions are my own. 'Good Luck' sounds like a gorgeous fragrance, I don't think I've ever smelled a melon scented candle before but I'm definitely missing out! Wonderful to hear that they're cruelty free as well! Your pendant is adorable! I’d never heard of Jewel Candles but the heart pendant is absolutely beautiful! It’s so nice that you have one to give away too! My pendant would be a honey pot for my niece. A Ruby would be a delight for me. This pendant is adorable so this one! :) Fingers crossed! A flower pendant for my wife. I've never heard of these before but what a cute products! Loveee jewel candles! Ah my friend is mad for candles. I will share this post with her. Loved the pendent. Beautiful! Good luck everyone! What a fun product to win! Beautiful gift pendent. I love scented candles. I'd love my candle to have dangly earrings in! 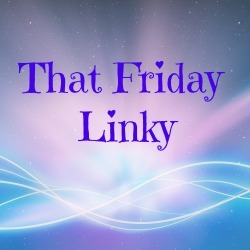 Cute products and nice review. Thank you for sharing! My dream pendant would be a little robin! Robins mean a lot to my family! I would love a tree of life art nouveau pendant to match my eternity ring. i would love an unusual pendant In a deep blue colour. i love the sea so perhaps in the shape of a sea shell! oooh a real diamond set in rose gold! I would love to win one of these. My dream pendant would be silver leaf so that I always feel like I'm connected with nature. Mmmmm, just bought new white cotton sheets, new mattress duvet and pillows! Fluffy cotton scent would top it if perfect! Like sleeping in a fresh cotton marshmallow! My dream pendant would be my mums birthstone in a heart with lots of diamonds. Rose gold with a drop of 3 diamonds. A blue stone. I love blue! An emerald heart as that is my sons birthstone colour. My ideal pendant would be something small and quirky, maybe a little cat! I had a large gothic cross which my parents bought me and when I wore it everyone commented. My x-bf decided to "liberate" it when we split and would't give me it back although he didn't buy it. So would love to replace it. I'd absolutely love a blue stone on a silver chain! A heart pendant has always been my dream. A flower pendant for my partner. This is a great gift for my mom plus jewelries. Great product! Thanks for sharing ♥️ ♥️ By any chance you are interested on doing collaborations, you can check out the collaborations portal of Phlanx.com and connect with amazing brands!